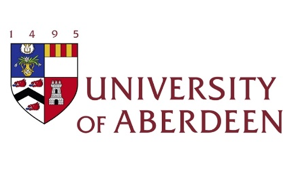 Moritz is starting his PhD in the School of Divinity, History, and Philosophy at the University of Aberdeen in Autumn 2018. He holds an undergraduate degree from the Humboldt University Berlin in History and Social Sciences, and an MSc in Economic and Social History from the University of Oxford. Moritz has worked on a variety of subjects, including contemporary and historical welfare provision, the evolution of the British criminal justice system, and political activism. His PhD builds on work undertaken during his masters which examined the House of Mercy, Clewer, a religious penitentiary for ‘fallen’ women, between 1848-1914. His PhD dissertation, supervised by Dr Colin Barr and Dr Marie-Louise Ehrenschwendtner will look at the networks of patrons behind these institutions, as well discussing the role the institution played in the lives of its inmates.